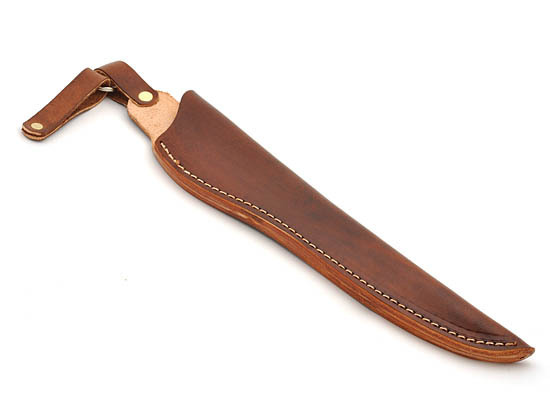 This leather sheath is precision sewn and made of very high grade 8/9 oz. cowhide that has a dark brown finish with a welt in the seam so the blade does not cut the threads. ?It is soft enough so that most handles will slide in for the final water fitting. Snap is included, but not attached to strap. Fits the filet blade BLSFS7 and BL070 (blade length of 6-1/2" to 7"). The inside opening is 1-3/8" x 9-1/2".